A simple add-on that automatically recalculates the cart's total cost with AJAX without any click the Recalculate button. 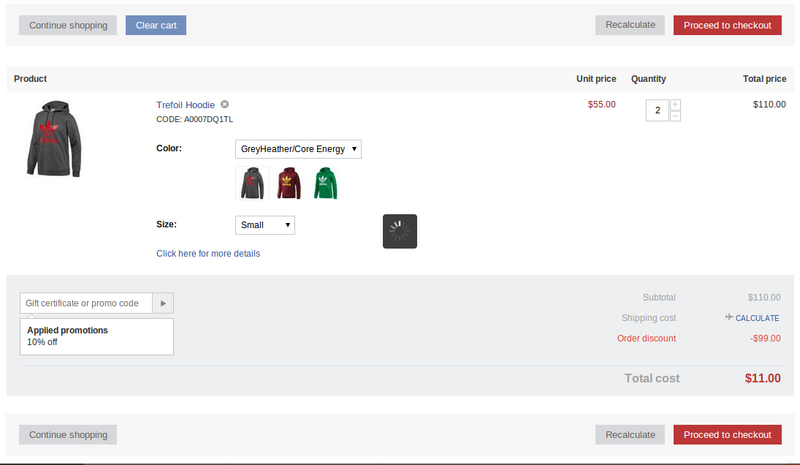 Now you can simply enter the number of products or change options and all the prices will be recalculated automatically. We recommend you to see the video tutorial that we have prepared for this add-on. I also agree With Scott. Another primary cart function that should work out of the box, but needs addon to fix. Thank you for offering this for free. I only wish there was a version for v2.1.4. Installed on v4 store, works well. Now our customers are ordering correctly. Agree with Scott! Thank you very much! GREAT add-on! This is a feature that should have been built into CS-Cart in the first place, but thanks to Cart-Power for making it freely available!